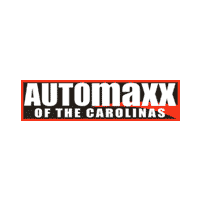 If you are looking for one of the most affordable and reliable trucks, make sure you have a look at the used Chevy Silverado 1500 inventory that we have at Automaxx of the Carolinas. Used Chevrolet models are some of the most reliable, and the Silverado 1500 is no different. No matter what you might need a pickup for, we are sure that the Silverado 1500 can make it happen. We are sure that you have at least seen the Silverado 1500 on the road; it is one of the most popular trucks thanks to being one of the most capable. With many trim options to choose from, you are sure to be able to find the features that you truly want. Trims range from the basic work truck with a standard interior for those purists looking for a vehicle that is solely for the job, but you can upgrade to off-roading options, or even upgrade the interior to near luxury levels. No matter which trim or options you choose, you will be sitting in a Silverado 1500, meaning you will have a vehicle that you can trust and know will be dependable. No matter which vehicle you are interested in from our inventory of used models, our team is more than willing to help you find the options that will make your life a little easier. After learning a little about you and your life, we will be able to suggest which models have everything that you need. We encourage you to visit us soon so that we can get you started! The post Find the Chevrolet Silverado 1500 that is Right For Your Life appeared first on Automaxx of the Carolinas.